“Dear son, Nancy is in my mind as though I could see her. I have sat at this table long enough to have wrote the whole sheet. I write a few words and then stop to give way to my feelings,” Nancy Mills wrote. Nancy Mills also had feelings of guilt for living too far away to have helped care for her daughter and young Caroline when they died just a few weeks apart. Nancy’s husband, Cyrus Mills, wrote a separate letter of condolences to their son-in-law, also mentioning the difficulty of getting closure over the loss of his daughter and granddaughter. “I have lost children before, but I had them with me, and, after they were removed from sight, I could give them up. But this case seems different, as though I must see Nancy again in this life (to get closure),” Cyrus wrote, including a final paragraph about painful losses. We will return to it below. Four stages of grief are denial, anger, sadness and acceptance. The two wings of our political system, left and right, often encounter losses or potential losses of different degrees. The left lost an election three years ago. The right fears gradually losing our traditions, losing our country. Both sides have feelings of denial, anger and sadness — in different degrees. Many of us can become mired in a mix of these reactions. Can Cyrus Mills give us guidance and advice toward softening, if not bringing closure, to such feelings? Our national emblem, the eagle, needs both wings to fly. Cyrus stepped back to see a bigger picture. “The all-wise Giver of every good thing bestows on his unworthy subjects the necessities and comforts of life in abundance. And yet how little do we appreciate these mercies that He is constantly bestowing upon us? I blush at my ingratitude when I am disposed to complain and consider my lot a hard one,” he wrote. The nation is in a deep and bitter divide. And yet have we not many blessings in abundance? Has our grief, anger and sadness blinded us to these gifts? We are still the country of choice for millions of people around the globe. Immigration is but one area where we need a middle ground. The two extremes of walling off our nation or of opening the border to everyone each has undesirable long-range consequences. If a grieving grandfather can step back and count his blessings — he was a farmer in the 1800s — cannot we, as a people and as political parties, step back and see a bigger picture? Can we not count our blessings? We must gather at our national table and find a middle ground. We should blush at our ingratitude. 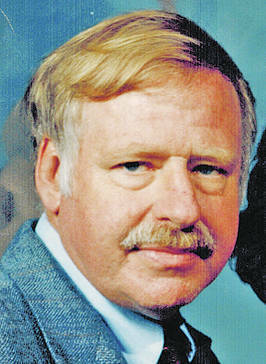 James F. Burns is a retired professor at the University of Florida who can trace some of his family’s early roots in the United States back to Highland County and the Buford area.